COURTESY of the all-seeing eye [phone] of New Journal reporter Tom Foot (tomfoot1), can Camden Council just make up its mind over where it stands in the great apostrophe debate? 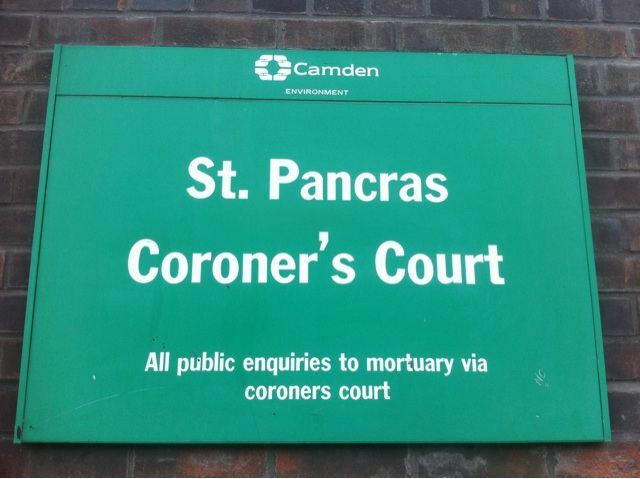 After what looks like a bit of dithering and uncertainty, it’s both in and out on their sign at the recently refurbished coroner’s/coroners court in King’s Cross. What’s it going to be? I’ve held myself back from going on an apostrophe war – there are bigger issues. But it does annoy given it’s practically the only grammar with a hard and fast rule to its use. (note the correct use in this comment with the exceptions to the rule). The number of (qualified) coroners here was to become pretty controversial…who’da thunk it?